« Sprouts Gets Even Better! 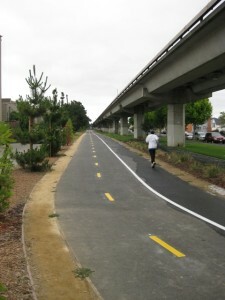 With the implementation of this configuration, this portion of the Ohlone Greenway path joins the yet to open west span Bay Bridge path, path along the south side of Crissy Field, south Golden Gate Bridge access path, most recent segment of the Bay Trail in Berkeley, and the renowned Minneapolis Midtown Greenway in having three lanes so those users that care to have the information how to stay separated. Thanks are due to AS&R members Amy Smolens and Zack Mensinger for leading this advocacy effort. Zack collected pictures of analog paths near and far and ran AS&R’s first petition on change.org. Amy spoke to hundreds of Greenway path users and collected signatures for the three-lane configuration on paper. Together they presented the hundreds of signatures to the City and attended meetings to convincingly make the case. 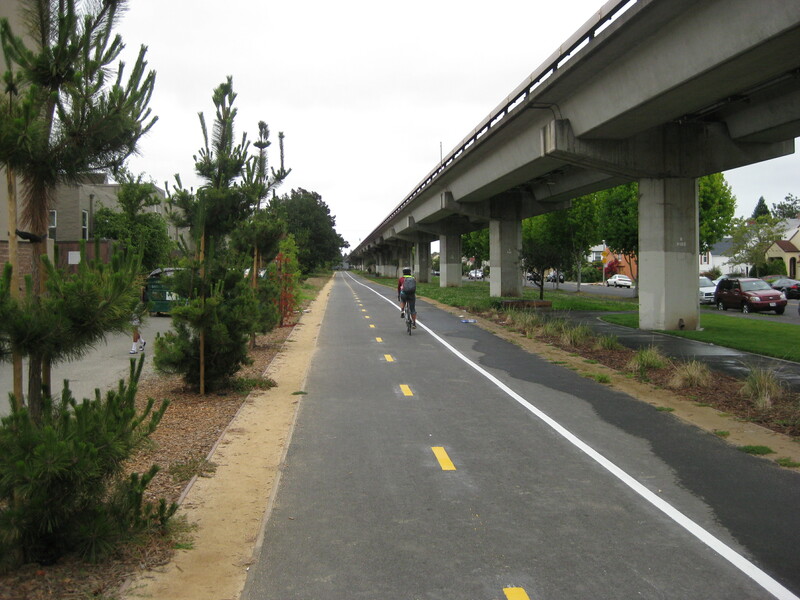 Thanks are also due to the City and BART for being willing to hit the pause button on the planned single stripe down the middle option in order to give AS&R time to make its case and for the City to contemplate the issue. This contemplation included hiring transportation engineering consulting firm Fehr and Peers to review the situation, whose agreement with AS&R’s position helped the City decide. The City also took the opportunity to upgrade the street crossings, as pictured to the left. You can express your appreciation to the City by sending a message to cityhall@albany.org. There is one little glitch in the striping. As implemented elsewhere, there is a pedestrian icon in the walking lane (as well as cycling icons in the cycling lanes). This icon is currently missing, suggesting it was not included in the striping plan. Also, there are only icons on the lanes at the path entries. 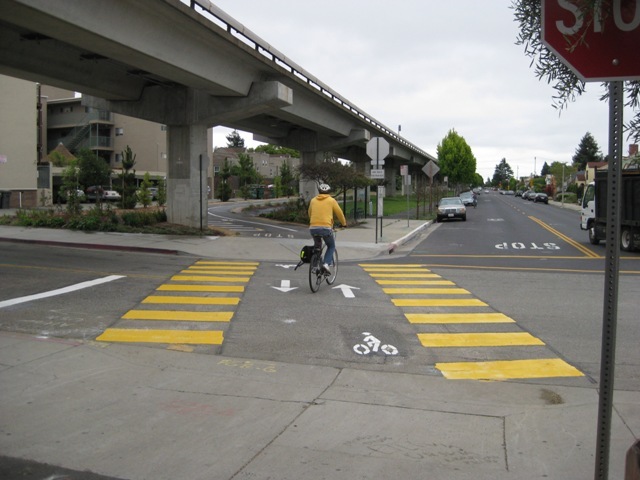 Midblock icons would increase awareness of the lane configuration as people may be paying more attention to navigating the curves and looking for other users than symbols on the ground at the entries. AS&R is working on it. Success getting other little glitches corrected (shoulders that end too short, a trash can located in the line of a shoulder) provided confidence that this will be worked out.